One of things I fear the most of the Internet is athletes copying and pasting annual plans or workouts from Elite or Olympic training programs. Take for example, John Smith of HSI speed endurance workout on YouTube. In the video, Leroy Dixon is the athlete, who won the gold medal in 4 x 100 metres relay at the Pre-Usain Bolt 2007 World Championships, along with Darvis Patton, Wallace Spearmon and Tyson Gay. The workout is 9 x 60m at 90-95%, followed by a 300m. 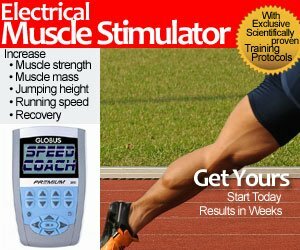 Is this really a speed endurance workout? The 300m part is, but the video doesn’t say the recovery. Is it a simple 5 minute walk back? Or a full 10-15 minutes between the 60m runs? That would make for a very very long workout. I would be hard pressed to give 95% effort for a 60m, as my legs would start to wobble around the 4th or 5th run. If you build up to this, like a Pietro Mennea, then yes, it is possible. Who am I to argue against John Smith, who has produced athletes in every Olympics going back to 1988? When I trained long to short back in my College days, we would do 2 (or 3?) sets of 6x60m, walk back 5 min, with 10 minutes between sets, but certainly not with the high quality speed or acceleration development. 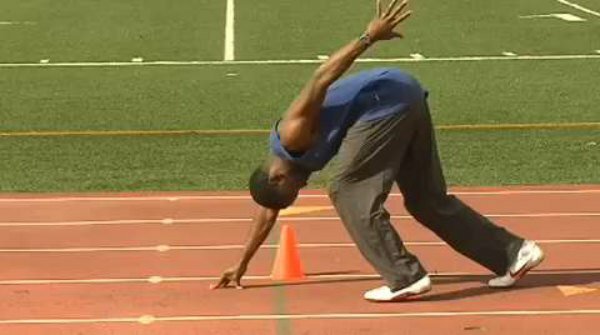 An elite athlete like Leroy Dixon is reaching top speed at 60m, but a youth or Masters athlete is probably reaching top speed at 40m or 50m, so the last 10-20m is really speed endurance. Would I do this workout? Of course, I would watch or video those short 30m segments and ensure proper biomechanics. Just a word of warning… giving a SINGLE workout is useless. You need to see the whole week’s workout, then the whole month, and the whole year. I’ll write more about annual plans and periodization next week, since September is around the corner!